Rocky Point from Fall Creek Falls | Just Shooting Memories! 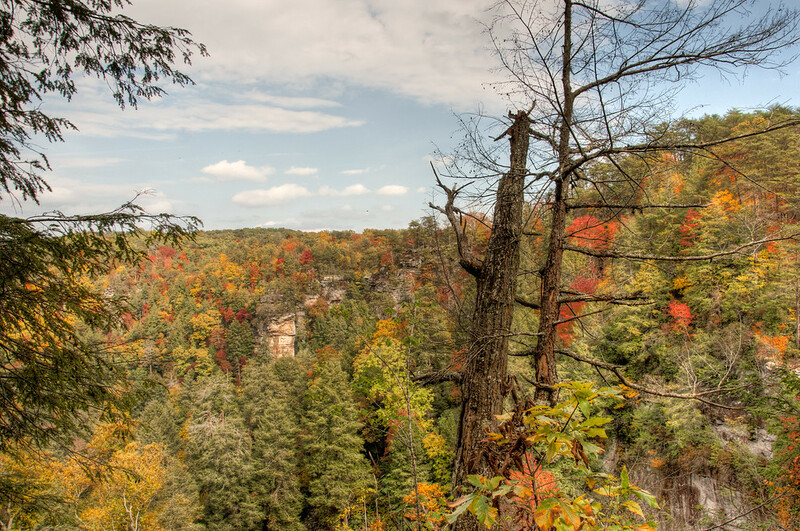 When I went to Fall Creek Falls State Park in Tennessee, I decided to take the short hike around the gorge trail. The start of it was at the Fall Creek Falls Overlook. It starts by following the gorge that Fall Creek Falls tumbles into. There is one point that gets very close to the edge. I saw some birds that were roosting near the top of the falls and decided to try to get a shot of them. In order to do that, I had to take this little side trail that got real close to the edge and I found this dead tree. I’m just glad I’m not too afraid of heights.